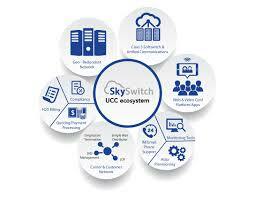 SkySwitch has launched contact center-as-a-service (CCaSS) for its white-label resellers. The offering is being rolled out from the company’s existing hosted PBX and unified communications as a service (UCaaS) platform. The SkySwitch CCaaS solution is a multi-tenant cloud service that delivers all of the features and functionality of an enterprise grade contact center platform in a pay-as-you-go format; small businesses, such as a doctor’s office or a real estate agency, with the same advanced contact center tools used by the largest corporations. In addition to delivering basic CCasS, resellers can leverage the SkySwitch platform’s open architecture to create bespoke solutions that meet unfulfilled needs in distinct vertical markets. iCommerce for instance filled a void in the fitness industry with the GymPhone service, which combines a call center with a virtual PBX for every fitness center customer. The SkySwitch CCaaS offering has an open API that allows SkySwitch resellers to integrate and customize applications system-wide or on a per-tenant basis. It’s possible to integrate third-party applications, such as CRM or ERP, into agent desktops, as well as allow business customers to build and execute their own custom applications. 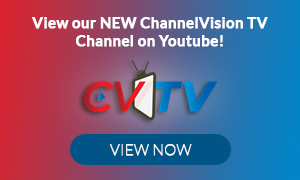 “Offering the basic CCaaS delivers a new revenue stream for our resellers. Those that can leverage the open API and integrate it with other services can significantly enhance the offering and their bottom line,” concluded Jones.